Disclosure: I received a sample for review purposes. All opinions are my own. Bed time is still a struggle for my youngest daughter, Bridget. She’s 10 years old and is a little night hawk. Where I like to go to bed early and get up early, she is the opposite. She loves to stay up late and sleep away the morning. On the weekends, we have a little more leeway with bed time. On weeknights, I’m more strict. She has to get up early for school the next day and I want to make sure she has enough sleep. Bridget has already been using a Cloud b Dreamz to Go Octo in her room at bed time and it’s helped immensely. She isn’t getting out of bed nearly as much as she used to. I think having the lights to focus on while she is trying to fall asleep helps her. 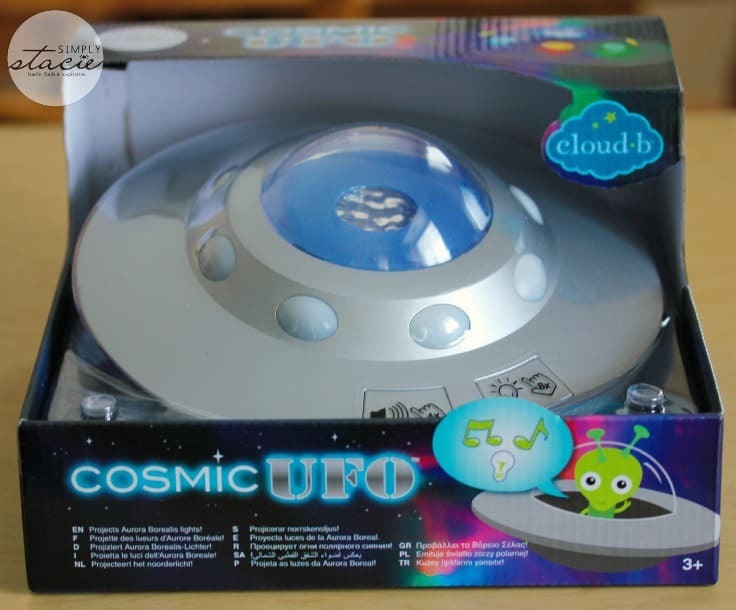 We’ve added another product to her bed time routine – Cosmic UFO from Cloub b.
Cosmic UFO uses both sound and lights to help kids transition from play time to bed time. I think it’s pretty cool how the lights simulate the beautiful Northern Lights. 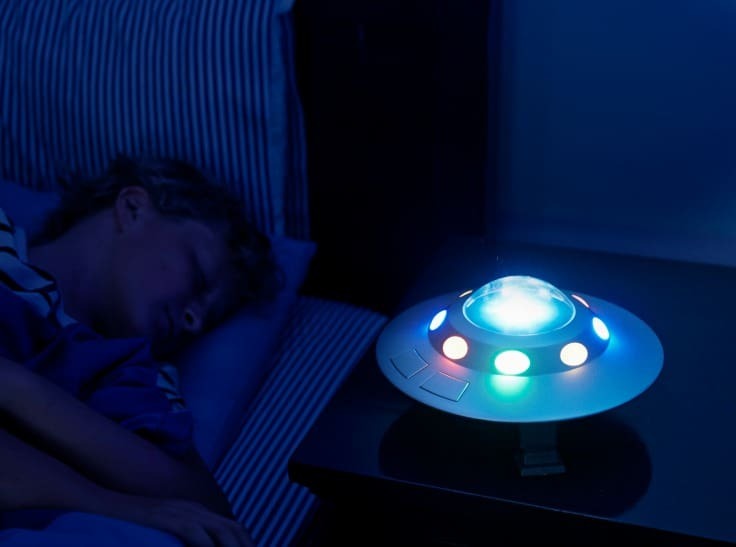 It also makes UFO noises to transform your child’s room to outerspace. 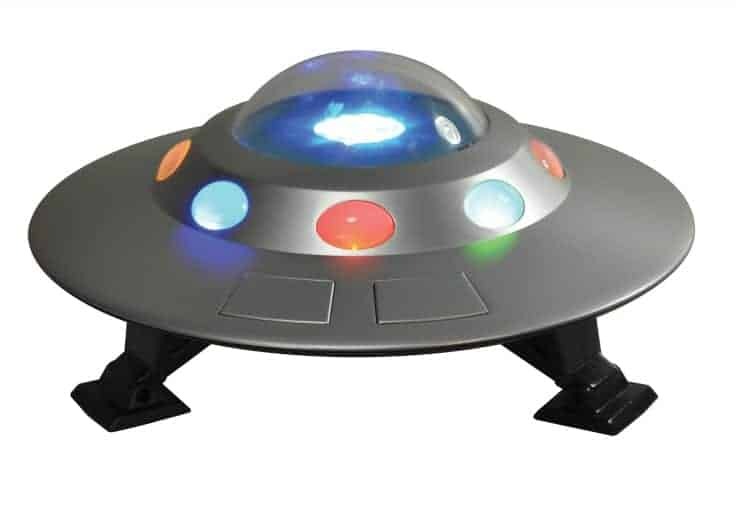 For play time, Cosmic UFO has three light sequences and a motion sensor that triggers an engine sound when it is tilted. At bed time, select one of the two soothing sounds and it will also display a relaxing Northern Lights show. You can adjust the brightness and movement to suit your child’s preferences. I also like that it has a 23-minute timer to transition your child’s room into darkness and quiet. Auto shut-off is a good thing so you don’t have to worry about turning it off at night. Bridget went to her dad’s place for a visit and packed her Cosmic UFO in her overnight bag. She’s grown really attached to it! She says it helps her fall asleep at night. Anything that helps her with bed time is a good thing in my books! 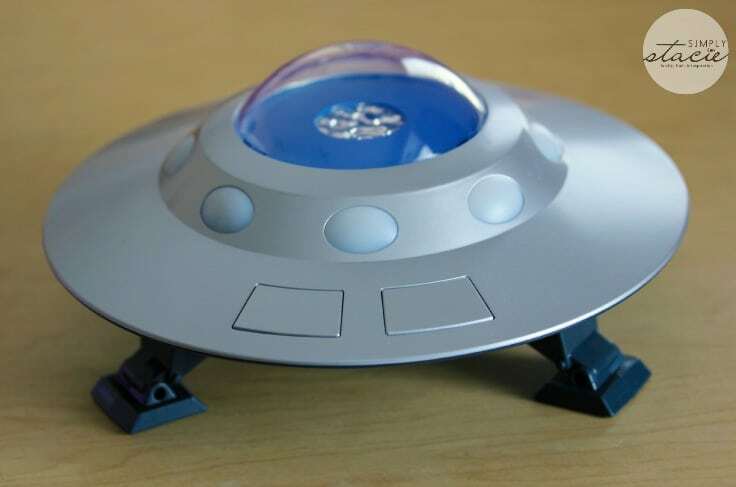 You can pick up a Cosmic UFO for your little one at independent toy, gift and baby stores across Canada. It has a SRP of $64.99 and is good for ages 0+. Olivia is 16 years old and has asked for one for her room too. I guess you are never too old for toys! I like the Twilight Turtle Tunes. I love the tranquil turtle! I like the Giant Twilight Turtle, little one could nap curled up right next to it.